At least so far. On November 21, Ukraine abandoned an expected EU alliance. It did so in the interest of “national security,” it said. It intends renewing “active dialogue” with Moscow. EU foreign policy chief Catherine Ashton lied calling it a “disappointment for the people of Ukraine.” Signing the pact “would have provided a unique opportunity,” she claimed. For the EU perhaps. Not for Ukraine. A November 28 Vilnius Eastern Partnership conference signing ceremony was planned. No longer. Signing the deal would be disastrous for Ukraine. It dodged a bullet by refusing. It did so at the EU’s expense. It did the right thing. EU countries covet Eastern expansion. Doing so adversely affects Russian interests. It’s disastrous for vulnerable populations. Vladimir Putin accused EU officials of “blackmail(ing)” and “pressur(ing)” Ukraine to sign. Doing so benefits EU countries at Ukraine’s expense. It’s economy is deeply troubled. Its natural markets are more East than West. It’s true for other Eastern European countries. EU aligned ones include Bulgaria, Croatia, the Czech Republic, Estonia, Finland, Hungary, Latvia, Lithuania, Romania, Slovakia, and Slovenia. Their economies are largely troubled. Some are basket cases. EU officials want to co-opt Armenia, Azerbaijan, Belarus, Georgia, Moldova and Ukraine. Exploiting them for profit is planned. Ukraine’s refusal disrupts things. Perhaps other targeted countries will reconsider. At this time, Georgia and Moldova intend to sign on. It’s in their best interests not to. It’s their choice either way. EU terms mandate structural adjustment harshness. So do IMF financial demands. They include mass layoffs, deregulation, deep social spending cuts, wage freezes or cuts, unrestricted free market access for EU corporations, corporate friendly tax cuts, marginalizing trade unionism, and harsh crackdowns on nonbelievers. Ukrainian elements standing to gain from EU membership orchestrated mass protests. Doing so was reminiscent of 2004 Orange Revolution disruption. Washington’s dirty hands manipulated it. Ukrainians ended up losers. President Viktor Yanukovych abandoned an EU alliance for good reason. Added social injustice could wreck his 2015 reelection chances. Current economic hard times caused widespread human misery. Compounding it could cause explosive conditions. Politicians worry most about staying in office. Angering most people is no way to do it. Ukraine is vitally important to Russia. Both countries maintain close economic ties. It’s in their mutual interests to continue them. Moscow supplies about 90% of Ukraine’s gas. Its strategic location gives Russian vessels access to the Black Sea and Mediterranean. Europe’s economy is broken. Monetary intervention solved nothing. Core problems fester and grow. Effective solutions are absent. Bankers are prioritized over sound economics. Western policy makers march to the same drummer. Ordinary people suffer. Poverty, unemployment, and deprivation grow exponentially. Nothing ahead looks promising. “How long can this go on,” he asked? Seventeen Eurozone countries represent its weakest link. More on that below. Economic stagnation, longer term decline, high unemployment, growing poverty, deprivation, and political dysfunction characterize a failed system. Europe is fast becoming an economic backwater. Human misery is extreme. “(T)ens of millions of Europeans who want work can’t find it,” said Lee. Many face “desperate” conditions. Some poor Europeans sell internal organs for cash. A continental black market in body parts exists. Policymakers aren’t solving things. They’re going from bad to worse. Economic decline is endemic. Force-fed austerity is counterproductive. Unemployment keeps rising. It’s at Depression era levels in some countries. It was last seen in the 1930s. Youth unemployment is especially troubling. Young people across much of the continent have no futures. EU officials mindlessly pursue failed policies. They’re “convinced of (their) infallibility,” said Lee. They believe human suffering is a small price to pay. Democratic accountability is nonexistent. Bankers and other corporate favorites alone matter. “It’s time to revisit the EU’s founding principles,” said Lee. So-called lofty aims failed. Prosperity remains elusive. Social angst grows. So do political tensions. “A system whose officials are responsible for the region’s faltering economies but who are not accountable to the tens of millions of unemployed people in them, is obviously exacerbating those tensions rather than alleviating them,” said Lee. The prospects for effective EU integration “are slim to none,” he added. EU officials muddle along destructively. They turn a blind eye to failure. Eurozone rules don’t work. Uniting 17 dissimilar countries under one size fits all diktats failed dismally. Monetary union was doomed to fail. It was engineered fraudulently to look workable. In 1979, Europe’s Exchange Rate Mechanism (ERM) was introduced as part of the European Monetary System (EMS). It’s purpose was to propel the continent to one European currency unit (ECU). ERM never worked. ECU is failing. Abandoning monetary and fiscal sovereignty reflects financial and economic madness. Doing so means foregoing the right to devalue currencies to make exports more competitive, maintain money sovereignty to monetize debt freely, and legislate fiscal policy to stimulate growth. The euro’s 1999 introduction prevented the European Central Bank (ECB) from financing government deficits. Since Eurozone members can’t monetize credit, they’re dependent on commercial banks and bondholders. Banking giants partnered with EU, ECB and IMF Troika power decide everything. Policies require lowered living standards, sacking public workers, and selling off state assets at fire sale prices. It’s win-win for bankers and other corporate predators. It’s lose-lose for economies and most people in them. It’s a dirty game. An eventual bad ending is certain. Party time won’t last forever. Expect end game times to arrive with a bang heard round the world. Bailouts and other fixes buy time. They don’t work longterm. Troubled Eurozone countries are drowning in debt. Adding more exacerbates bad conditions. Rising unemployment means less purchasing power. When people have money in their pockets they spend it. Otherwise they conserve. They struggle just to get by. Bernard Connolly is a British economist. He predicted the euro’s failure. He did so before its introduction. He called it a harebrained notion doomed to fail. Saying it cost him his job. Last February, he predicted much more pain ahead. Europe is slowly rotting away, he believes. Conditions are “getting worse and worse,” he said. Two immediate solutions aren’t pleasant, he added. ” ‘We’ll chuck the whole lot of you out.’ Now that’s not a very pleasant prospect.” Not when accompanied by mass social disruption. It’s what revolutions are made of. Connolly is no ordinary doomsayer. He formerly headed the European Monetary System. He was a Committee of Central Bank Governors Foreign Exchange Policy Subcommittee member. He was an OECD monetary affairs expert. He’s now an independent consultant. He heads Connolly Insight LP. He’s considered the foremost European economic, monetary, and political integration expert. Months before the euro’s 1998 introduction, he predicted doom. He said one or more of Europe’s weakest countries would face rising budget deficits and economic trouble. It would be all downhill from there. He described a death spiral with no escape. Sovereign default would follow. He hasn’t changed his mind. Timing alone is uncertain. In 2003, Alan Greenspan cut interest rates to 1%. Doing so was unprecedented since the 1930s. Connolly wasn’t impressed. He called America’s economy a debt-driven Ponzi scheme. He predicted interest rates would have to fall further. He said expect it during the next cyclical downturn. He was right. He’s concerned about troubled Europe. It’s one thing to bail out Greece or Ireland, he said. It’s quite another to take on Spain and/or Italy. France is most troubling. Its fundamentals are worsening. Weakened growth prospects caused it to miss its 2012 deficit reduction target. Imagine if it needs bailout help, said Connolly. EU propaganda claims lack of fiscal discipline in Greece, Ireland, Portugal, Spain and Italy caused crisis conditions. They’re aberrations, say EU officials. Not so. “And the underlying problem has been that there was a massive bubble generated in the world as a whole by monetary policy – but particularly in the euro zone.” ECB and Bank of England policy bears full responsibility. 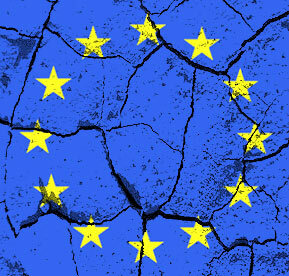 Trouble began when countries like Spain, Greece and Ireland joined the Eurozone. Their interests rates immediately dropped to near-German levels. In some cases, it was from double-digit heights. “The optimism created by these countries suddenly finding that they could have low interest rates without their currencies collapsing, which had been their previous experience, led people to think that there was a genuine rate-of-return revolution going on,” said Connolly. It was foolish thinking. “By the time the euro rolled around, money was flowing into these countries out of all proportion to the opportunities available,” he added. It depended on “ongoing expectations” about housing appreciation. It’s “not dissimilar to what was happening to the United States in the middle of the last decade. But it was much bigger,” Connolly explained. Torrents of money drove up wages. Productivity didn’t keep pace. Cheap money caused major deficit spending. In 2008, the inevitable bubble burst. Fiscal retrenchment today requires wages and prices to adjust to their pre-bubble levels. Otherwise troubled economies won’t be competitive. One solution is massive euro depreciation. “Really massive,” said Connolly. Recreating bubble conditions won’t work. Doing so assures another bad ending. Potentially much worse than in 2008. European banks remain distressed. Housing prices are weak. Lower rates haven’t driven investments into troubled economies. Not like they did before. Europe’s last option is having Germany pay. It’s not likely. At some point, angry populations may halt the dirty game. They may take to the streets and stay there. They may demand abandoning the euro disruptively. They may keep doing it until it happens. They may vote out political parties they despise. German reunification cost West Germany about 5% of its GDP a year. There was no end in sight at the time. Germans tolerated because doing so reunited their country. “It simply won’t work.” Hard times keep getting harder. Simple solutions don’t exist. Bad policies make things worse. An eventual day of reckoning will resolve things. Perhaps it’ll be more painful than ever when it arrives.